Brushing your teeth with Charcoal might sound a bit strange, but Activated Charcoal actually has amazing natural whitening and brightening effects on teeth! In this next blog I share my favourite Coconut and Binchotan Charcoal dental products and their benefits. From filtering water to cleaning teeth, the natural cleansing power of Activated Charcoal can be used for so many different purposes. While using a black powder on your teeth might sound a bit counterintuitive, Activated Charcoal can actually help to thoroughly clean, whiten and brighten your teeth naturally! Conventional teeth whitening gels and strips can potentially damage tooth enamel over time, making Activated Charcoal an ideal natural alternative, which can be just as effective. Activated Charcoal is often used for medical purposes to cleanse and detoxify the body, and can be made from different natural sources including Coconut shells and Oak branches. Created through a traditional Japanese method, Binchotan Charcoal, also known as White Charcoal, is made from mature Ubame Oak branches and is activated through a special process. The branches are slowly burned in a clay kiln at low temperatures, then the temperature rapidly increased and the branches starved of oxygen, carbonising the wood. As it cools, the Binchotan gains its white appearance.1 Activated Coconut Shell Charcoal is made from mature Coconut shells, an abundant and renewable resource which is available year-round. Read more about the difference between Coconut and Binchotan Charcoal. 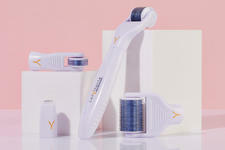 What are the benefits of Activated Charcoal toothbrushes? The manufacturing process gives Activated Charcoal its powerful absorption properties, with its refined, highly porous surface able to attract and absorb particles from the mouth as well as chlorine from tap water, which is why Charcoal is so often used as a natural water filter. Known as 'adsorption', this process allows chemicals to bind to the exterior of the Charcoal so they can be removed from the body. Through its antibacterial, antifungal and antiviral properties, Activated Charcoal may also help to avoid bad breath. In a powder form, Activated Charcoal is amazing at removing plaque, stains and build up on the teeth, helping to lift coffee, tea and wine stains to leave teeth sparkling clean and white, with its whitening power increased even more when used with a Charcoal toothbrush! 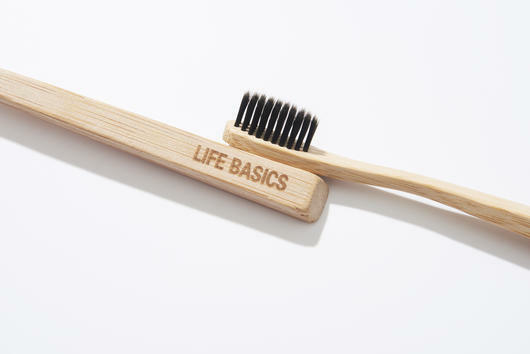 The Life Basics Bamboo & Charcoal Toothbrush is made from Activated Binchotan Charcoal-infused bristles, and has an environmentally sustainable bamboo handle. The antibacterial and anti-fungal properties of Binchotan help to clean and purify teeth and gums, reducing plaque, build up and odour-causing bacteria, and can even help whiten teeth! Available in soft bristle for sensitive teeth, regular medium bristle, or kids size, the whole family's toothbrushes can be replaced. In a vegan and gluten free formula, the My Magic Mud Whitening Toothpaste in Peppermint helps to polish, cleanse and whiten teeth without harsh abrasives or foaming agents found in mainstream toothpastes. Containing food grade Activated Coconut Shell Charcoal, Diatomaceous Earth and Bentonite Clay, this minty toothpaste acts as a gentle polish to help remove plaque and cleanse the mouth without damaging the enamel. With Activated Binchotan Charcoal-infused bristles and a BPA free palstic handle, the Morihata Binchotan Charcoal Toothbrush helps to clean teeth and deodorise the mouth. The detoxifying and cleansing power of Binchotan also helps avoid bacteria growing on the toothbrush, so they may last longer than regular plastic toothbrushes. A medium to firm toothbrush and available in 5 different colours, these gorgeous looking toothbrushes are also available in a soft bristles for those with sensitive teeth and gums. Made from pure Activated Coconut Charcoal, the Pure Eden Activated Charcoal is a cost effected bulk buy that can be used both internally and externally for a wide range of natural beauty benefits including facial masks, scrubs and teeth whitener. With its powerful yet gentle abrasive properties, this powder can be combined with a small amount of water to form a thoroughly cleansing and clean tasting toothpaste which helps to lift coffee and tea stains from teeth and draw bad bacteria from the mouth, providing support for healthy oral hygiene. The Warpaint Charcoal Teeth Whitener is designed to help whiten and clean teeth with the powerful benefits of Activated Coconut Shell Charcoal and Australian Calcium Bentonite Clay. This super fine, food safe powder helps to lift stubborn stains, correct discolouration and remineralise teeth, leaving them fresh, clean and sparkling white without weakening the enamel. Activated Coconut Shell Charcoal can also help to balance pH levels in the mouth, and fight off bad bacteria which can causes tooth decay. You can also mix with coconut oil to make a toothpaste.